You’ve probably read our reviews of BMW’s SUV models, and most of the time the reviews we wrote were based on local context; how it drives and performs in our concrete jungle, with opportunity to take it off the beaten path next to nil. 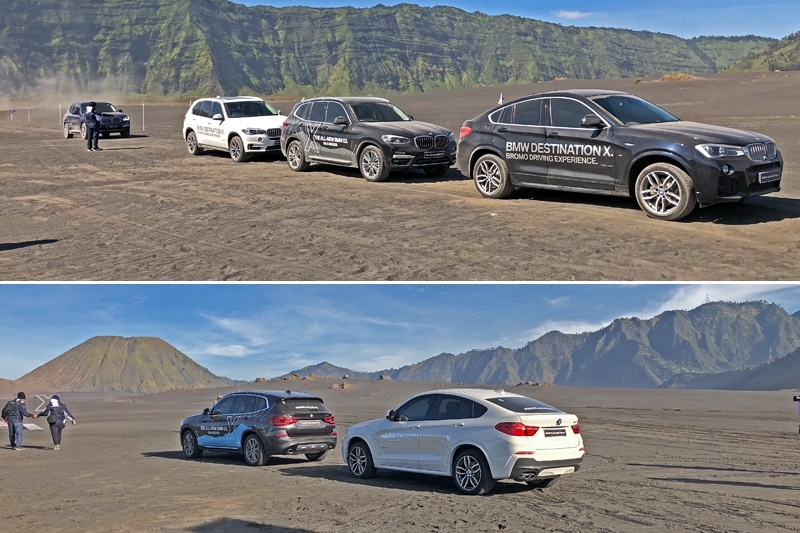 So when BMW Asia invited us on a drive that will take us from Surabaya to Mount Bromo in East Java, we simply can’t say no. Taking the first flight out of Singapore, we arrived in Surabaya mid-morning. The journey from the airport to our drive’s start point, Ciputra Hotel took less than 30 minutes and unlike Jakarta, traffic here is generally smoother. Considering we have to drive ourselves out of Surabaya, well, this is good news. It was after lunch when we were flagged off from Ciputra Hotel, and the good news here is that we have police escorts for the entire drive! Hence the drive will be smooth, smooth and just smooth – ahh… no waiting at red lights, no need to jostle with the rest of traffic and of course, that rare moment you get to feel like royalty. The journey from our start point to the foot of Mount Bromo took slightly more than three hours. 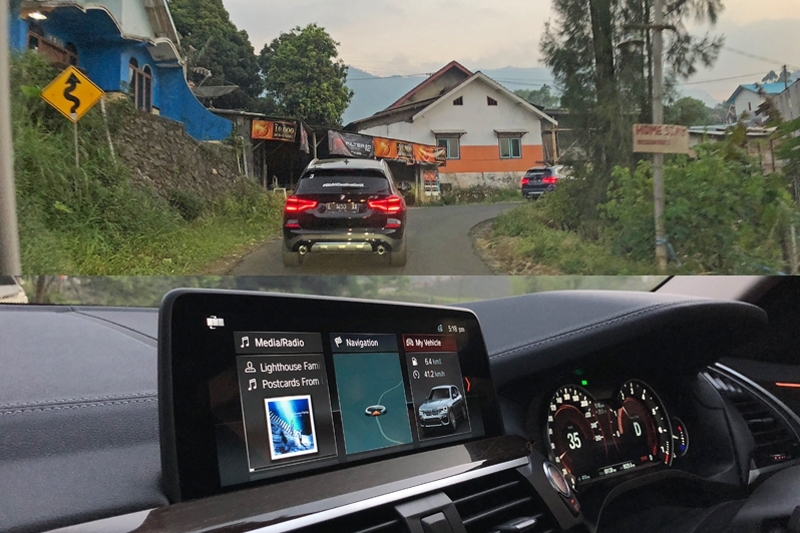 Along the way, we stopped for a break; for the BMW Indonesia team to demonstrate the X3’s four-wheel drive capability using a set of rollers and for us to enjoy some local snacks (banana fritters doused with condensed milk which were very sweet). 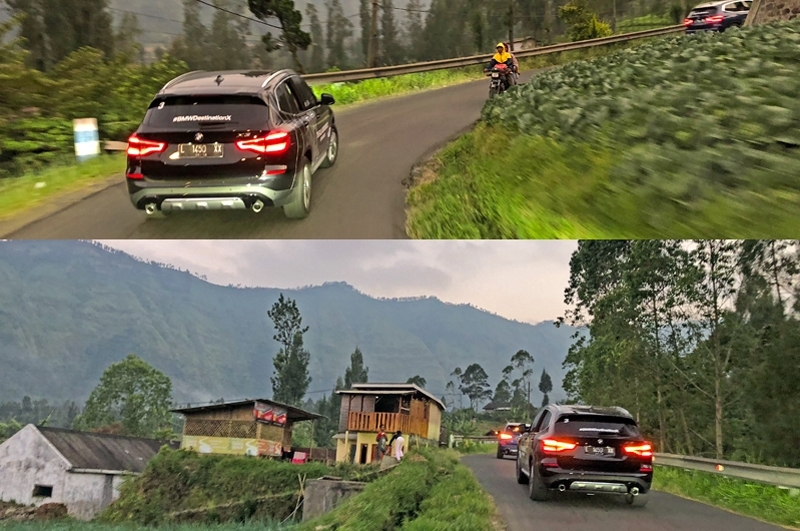 From the foot of Mount Bromo, the climb up in our convoy of BMW X3 xDrive20i and X4 xDrive28i took slightly more than an hour. 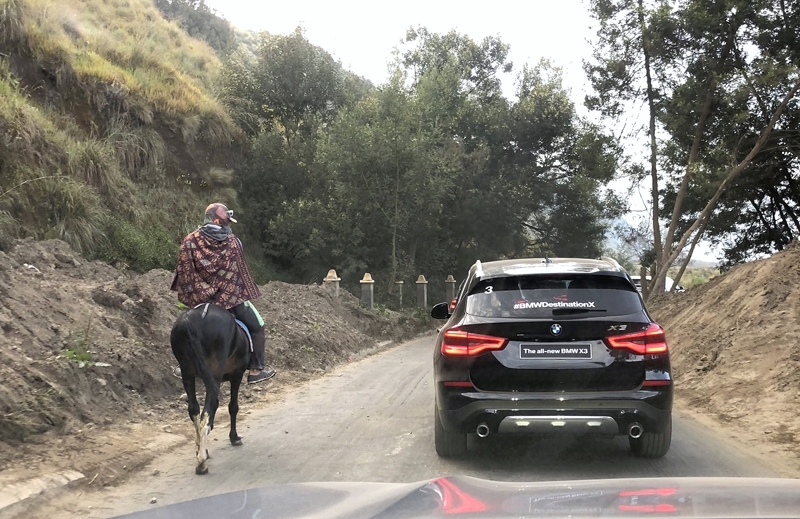 The roads were twisty and tight along some sections, and on top of that, you have to be cautious of traffic from the opposite direction; speaking of which, the X3 xDrive20i performed incredibly well without a hint of power struggle. The positive steering made it easier to maneuver, an undeniable plus point for an SUV of this size. Oh, I should also mention the lovely sight and weather as well, something us mere urbanites will surely appreciate. 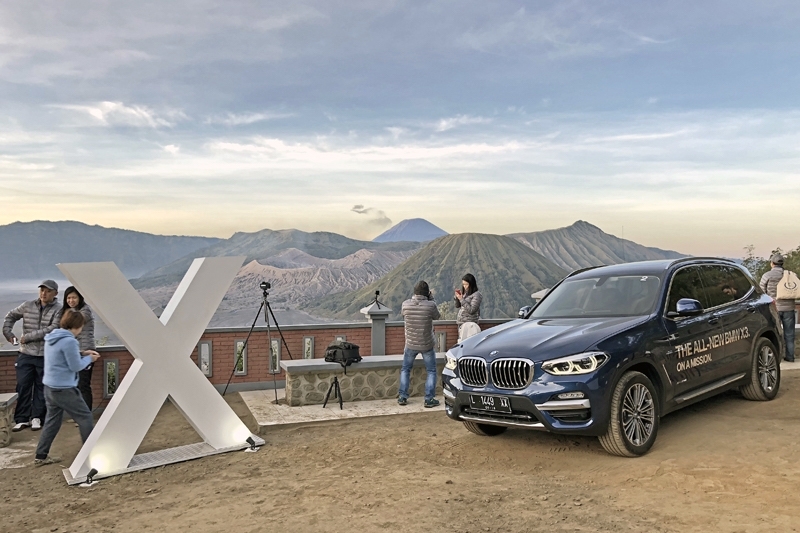 It was an early start to the day – yours truly was up at 3:15 am and by 4:00 am, already assembled at the resort’s car park and put into the driver’s seat of the X3 xDrive20i. If you’re wondering why we were up very early, it’s simply because I need experience Mount Bromo’s main attraction: Catch the sunrise, which was said to be majestic. And majestic it truly was. A short 10 minutes drive from the resort, we – ok, the X3 – climbed up all the way to the Seruni Point lookout point. Yes, most of the stock photos of the famed Mount Bromo sunrise you find online were taken at this exact spot. And how can I forget? Standing at the highest lookout point, you could also catch the moon in all its glory along with the Milky Way – I kid you not – here. If I may, this has to be one of the glorious views I’ve ever experienced hence now I understand why Mount Bromo attract visitors by the droves. Once the sun had made its full appearance, the group took a 20 minutes drive down to Mount Bromo’s Sea of Sand. What greeted us at the sea of sand was – no guesses here – a sea of volcanic sand. They’re darker and finer than the type we normally get on our beaches, so it does get dusty whenever a vehicle passes. 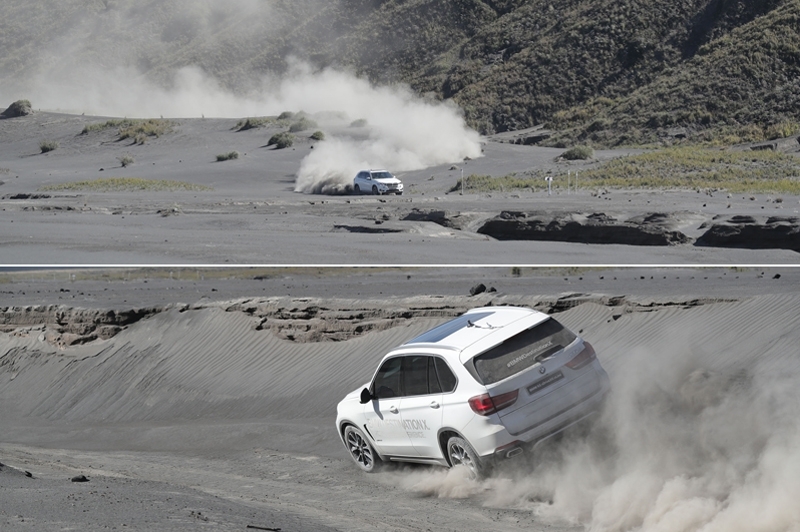 Here, we were given the opportunity to drive the X3s and X4s over several ‘circuits’. 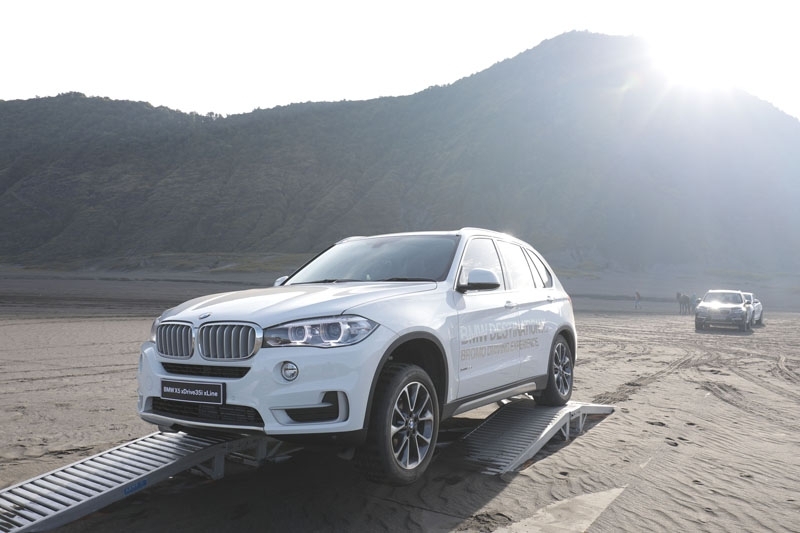 The first circuit saw us driving the mid-size SUVs over grated metal steps, experiencing BMW’s intelligent four-wheel drive system that channels power from the engine to the wheel that needs traction to get out of a slippery situation; at the same time also demonstrating how its ride height and wheelbase enables it to be driven across any surfaces, deep or shallow. The second circuit is the most exciting bit: BMW’s driving instructors had marked out a little race circuit, which include different elevations, tight turns and sweeping bends. The whole point of this exercise is to let us experience the X3’s and X4’s agility and fun side. 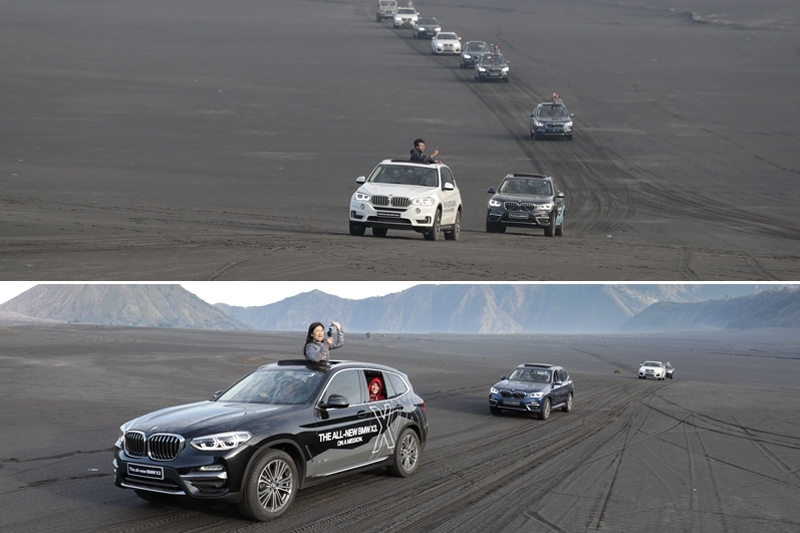 Well of course, the X3’s four-wheel drive system was foolproof despite the slippery surface, gripping as tightly like cat’s claw onto the volcanic sand. Take it smoothly and the X3 rewards you. After all that fun, it was time for the instructor to take us out on a special circuit. 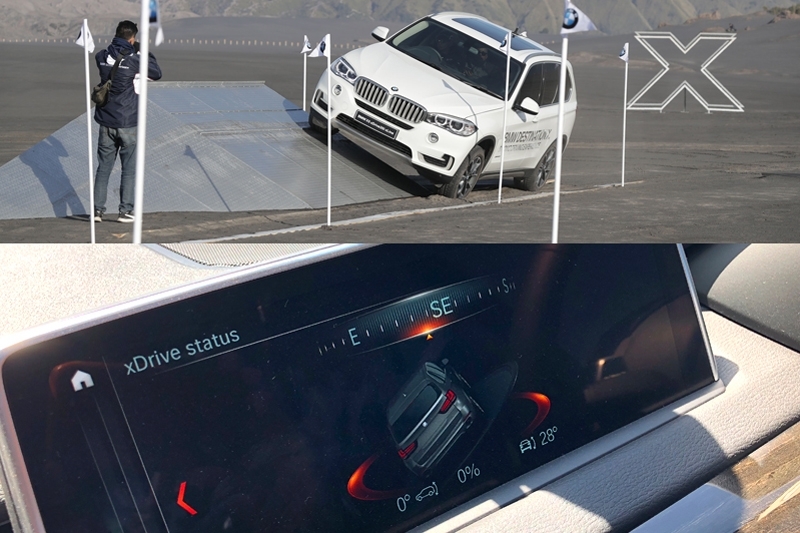 It began with the X-circuit: The X5 xDrive35i was driven along a simulated embankment, where at the maximum, was tilted by 28-degrees. No, it didn’t feel as though it was going to turn turtle and traction was very much available still – that’s how safe it was. That done, it was time to stretch the X5’s legs: The hot lap. Unfortunately I only get to be passenger and watched the BMW driving instructor throw the X5 hard and fast into a dried riverbed, throwing dust clouds in its trail. 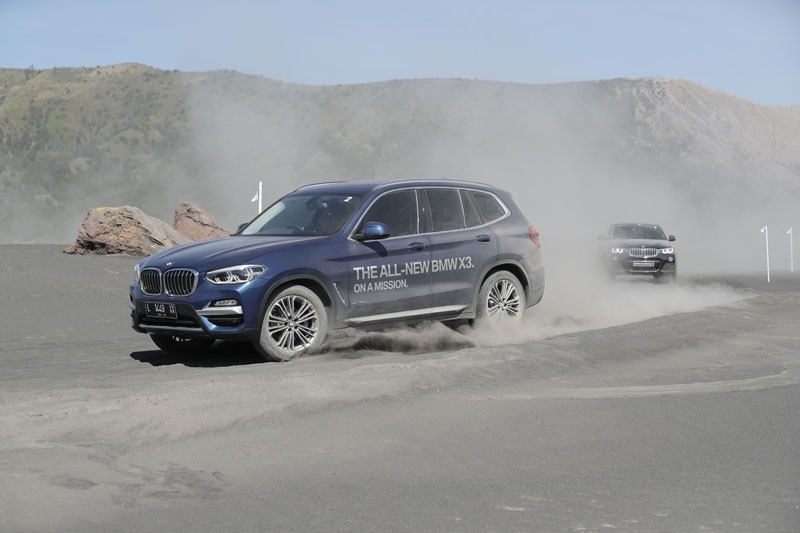 For a full-sized SUV, it performs rather well diving hard from one turn to the other with the said instructor controlling the X5 like a sports car. At certain stages, he drove aggressively just to put it sideways; even climbing up the bank. 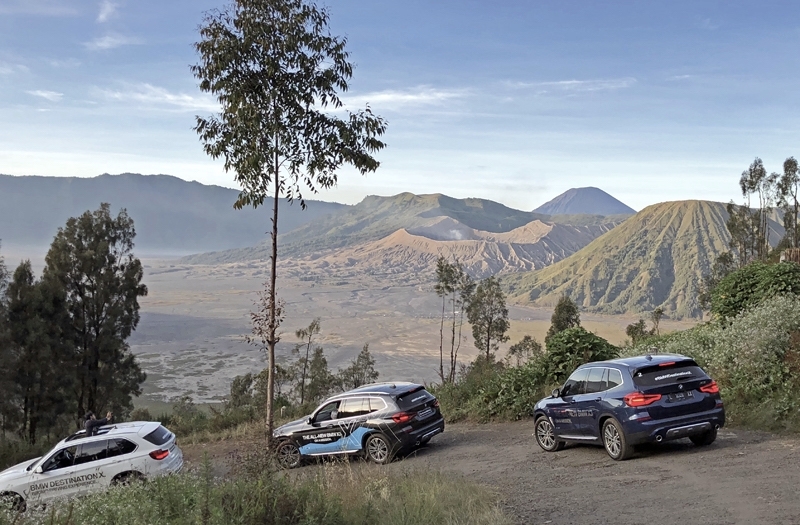 Through a special agreement made between BMW Indonesia and Mount Bromo Tengger National Park, BMW is allowed to hold this driving experience only once every year. 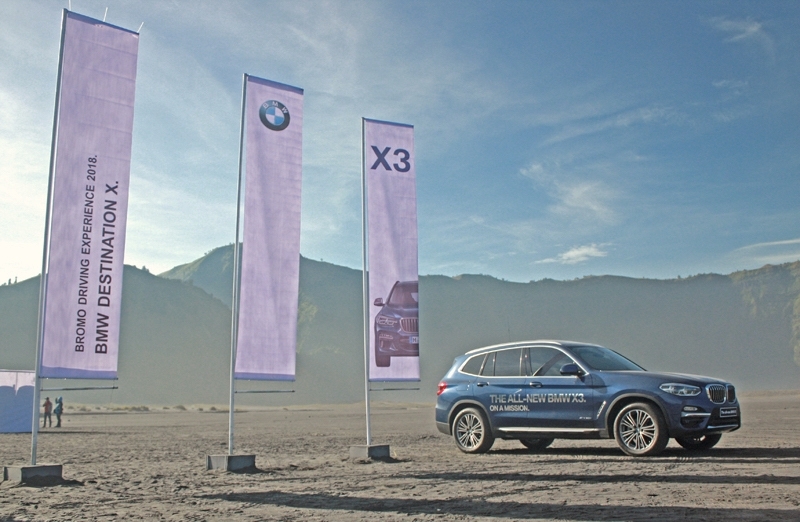 In return, BMW Indonesia just needs to hold a separate program to give back to this national park. For this year, the program for ‘Give Back To Bromo’ was to build barriers around the Padang Savana section. 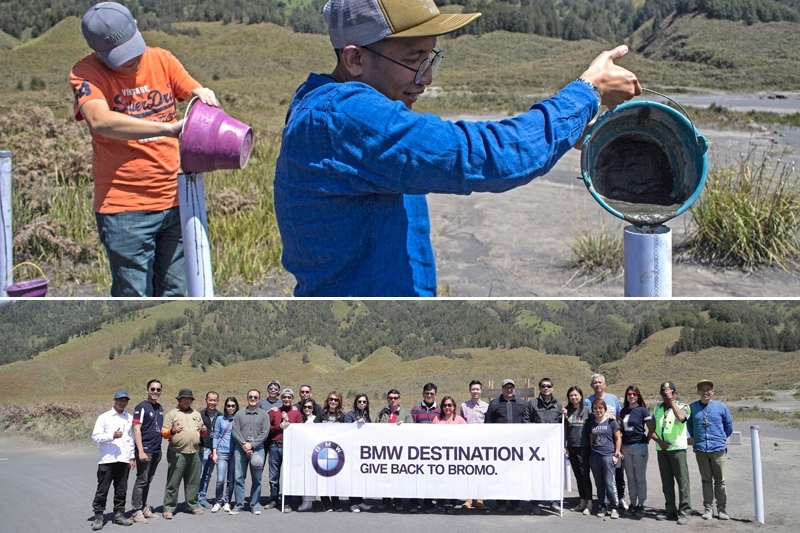 Our group erected PVC pipes and filled it with cement to get ‘the ball rolling’ – together, BMW Indonesia and Mount Bromo Tengger National Park will finish off cordoning the section of the national park, protecting all the greenery and vegetation for generations to come. 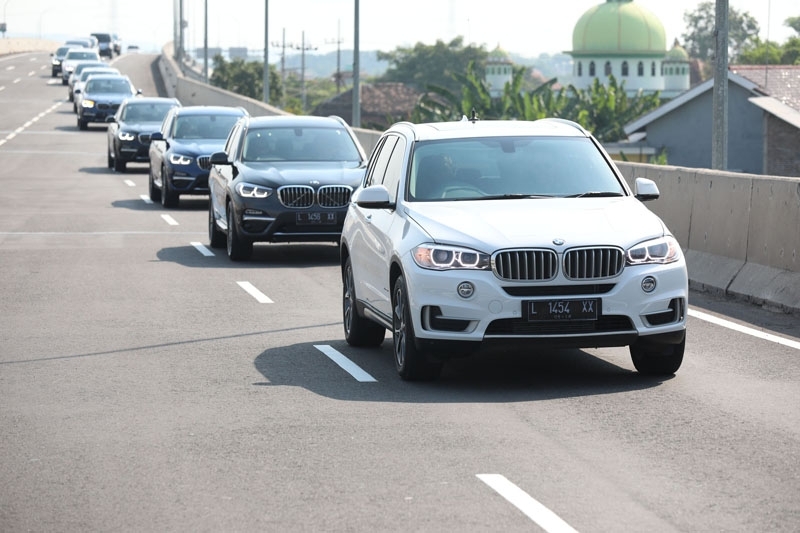 After a fruitful day of fun with BMW’s solid SUVs and giving back to the community, it was time to drive back to Surabaya for the night, before we flew back home the following morning. The greatest take away from this drive, for me personally? That the BMW X3 xDrive20i, although the entry-level variant, makes so much sense: It has the right amount of comfort (without the stiffness of the M-Sport suspension I complaint about in my review of the xDrive30i variant) and most importantly, delivers ample power.